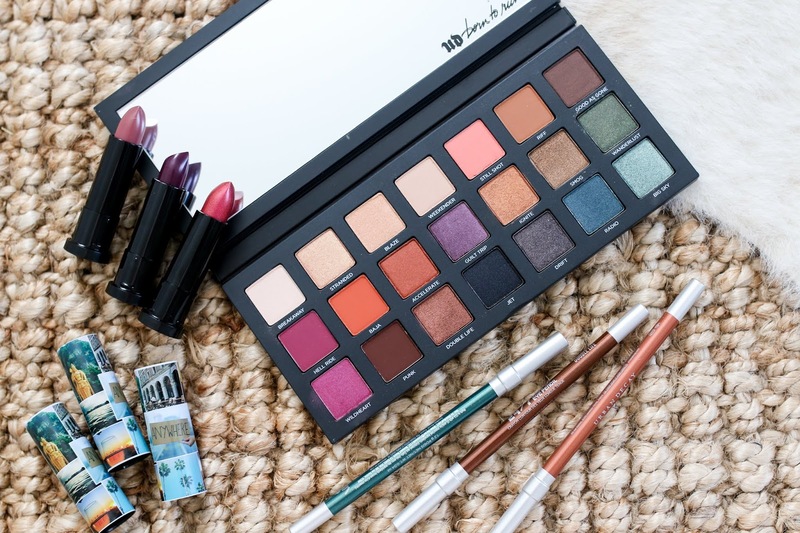 Sometimes I feel like I can't keep up with all of Urban Decay's launches, they are always bringing something new and exciting to the stores! 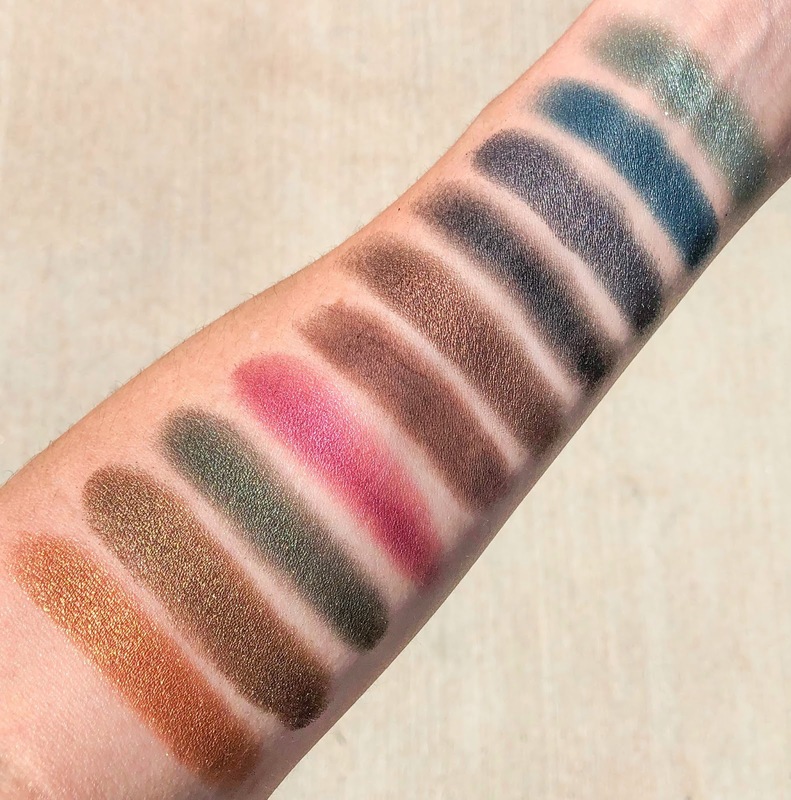 The newest collection is called Born to Run and for those that love a good eye shadow palette, this has 18 shades with a mix of matte and shimmer formulas. Sometimes Urban Decay palettes can be easy to wear with lots of neutrals, and then some of their palettes have too many "wild card" colors as I like to call them. This has a bit of both, but skews more heavy on the wearable daytime shades. Besides the very first color in the palette called Breakaway, every single shade is richly pigmented and took me little to no work to build up the color to full intensity. Not too powdery and the balance of shimmer to matte finishes is perfect. 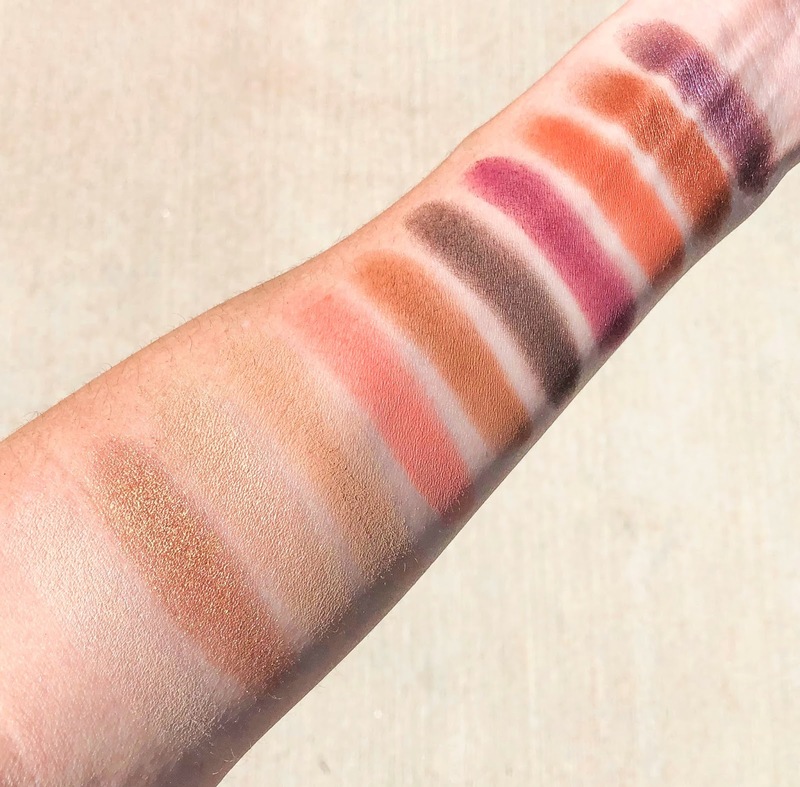 Below are swatches of the entire palette. 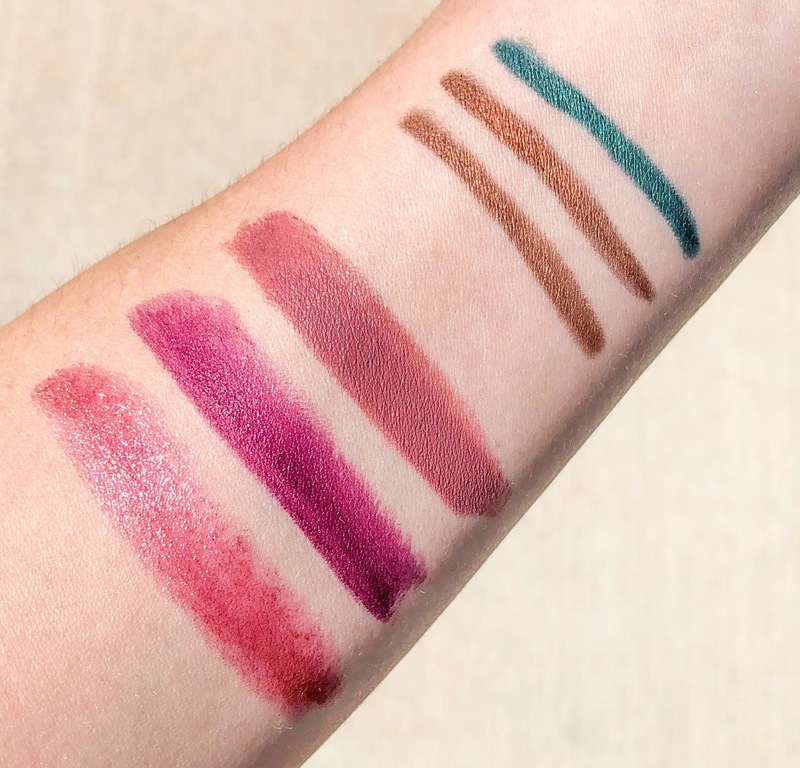 In addition to the swatches of the eye shadow palette, I included swatches of the lipsticks and eye liners that are part of this collection. The lipsticks didn't wow me that much, but there are two BEAUTIFUL brown liners from this collection that are perfect for an every day look. I personally don't wear eyeliner but I know many of you do and want something dark enough to define but subtle enough for a daytime look. These two are perfect for that. The green is a wild card and while beautiful, not very practical. The liners are creamy and glide on easily but last a veryyyyyy long time. In fact, trying to remove them off my arm took a wipe, cleansing oil and some micellar water. Definitely a great buy for summer!